Hi Folks, I am reasonably new to 944's. I have an '84 944 that has recently had some work done to it, 48k service, new belts, new water pump, ignition leads, new battery etc. I decided to go for a drive, so after switching on the battery isolator switch I heard a weird hissing sound coming from underneath the car for a few seconds, I didn't think much of it as it stopped and I thought it's something I just hadn't noticed before, the car seemed fine and started up and drove fine. A few days later after not using the car again, I turned on the battery isolator switch and heard the same noise, car started fine, I rolled out the garage and left it idling on my sloped drive for 5 minutes while I put some bits back in the garage and then got in and as I rolled down my drive I realised I still had the handbrake on so as I was stopping at the bottom of the drive to release it, I suddenly heard a loud continuous high pitched whirring motor noise and after quickly turning off the engine it continued making the noise at a high pitch, so I quickly lifted the bonnet and noticed a lot of smoke coming from the rear of the engine bay, just below the windscreen, I immediately isolated the battery and the sound stopped but in my panic I couldn't pinpoint where it had come from, I left it a few minutes and started the car back up and everything was fine. Took the car out, no problems at all, drove fine, temp fine. I thought maybe something was maybe just sticking and it needed a drive. Which leads me to today, a few days after the last incident. 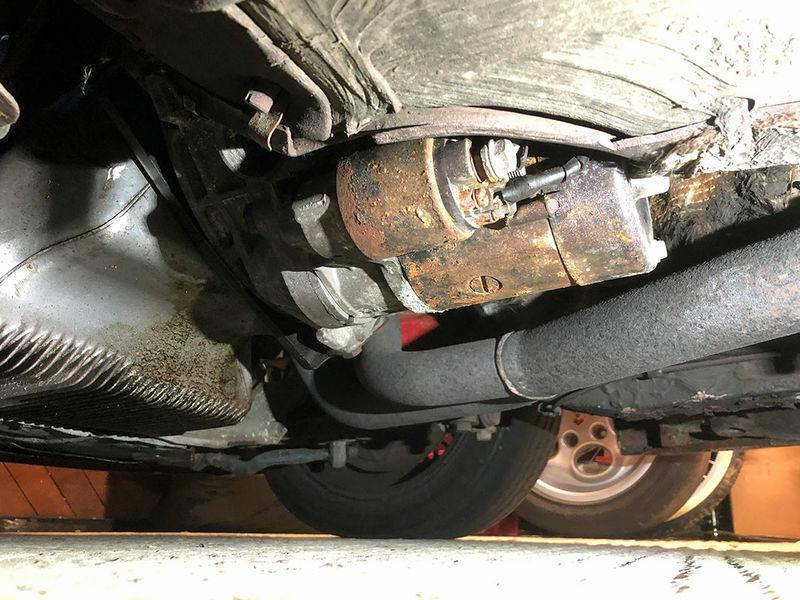 Removed trickle charger, switched on the battery, heard a louder hissing almost sparking sound from underneath to the rear of the engine bay, louder than last time, saw a small puff of smoke rise up from rear of the engine bay. Left it a few minutes, nothing else happened. Weird. Started up the car and it struggled to idle and cut out. 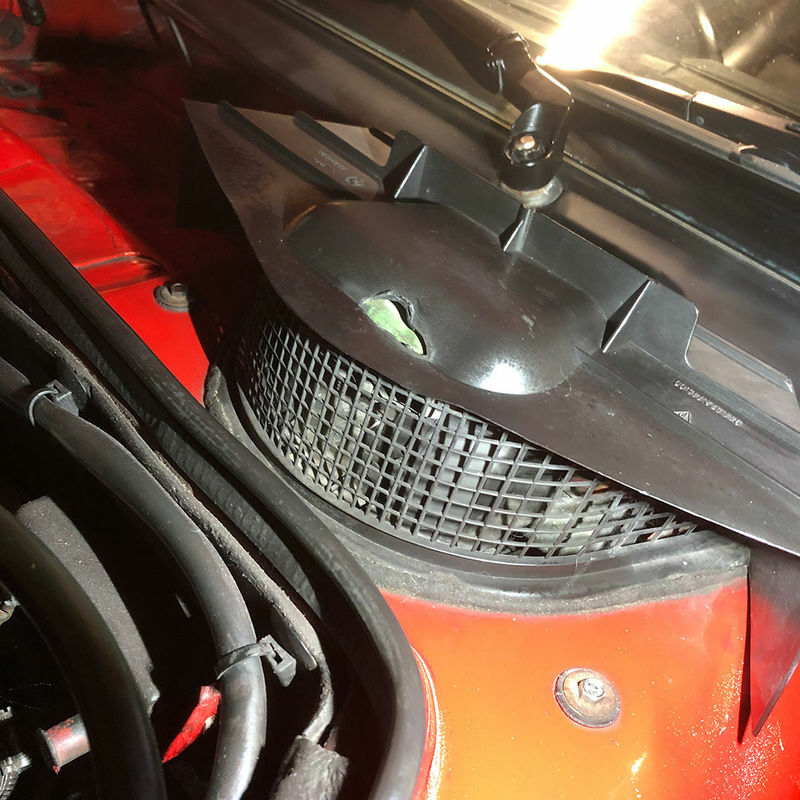 Started it again and the idle was all over the show with the battery light flashing as it tried to regulate the idle, it just would not stay running, turned it off, got out and went to investigate the engine bay for smoke but didn't see any but did notice a melted area on the plastic cover below the windscreen. The resistor inside it was warm/hot to the touch but the plastic was cool. This may have caused the smoke from my previous incident. I looked under the car and noticed the starter had a small single drop of water hanging from it as well? Yet the car is in a dry garage.